Each year, the Sisters of Mary Immaculate reach out to thousands of children who have been orphaned and left alone as a result of diseases such as AIDS, malaria and tuberculosis. In addition to providing for orphaned children, the Sisters also provide skills development and education for young adults as well as pastoral care and medical assistance for the elderly and infirm. With your financial support, the Sisters can continue their nearly century-long tradition of providing basic necessities for those who need them most! Tax-deductible donations can be made either online through this web site or by mail. God bless you for your kindness and generosity. PayPal & Our Secure Online Form. You will be taken to the PayPal site to complete the transaction. You may use either method to make a donation. Donations by Mail are Also Welcome! Make Your Donation to Help Today! 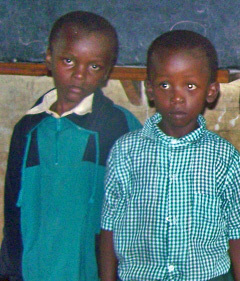 Right now, nearly 300 orphaned boys and girls are living at Child Rescue Missions operated by the Missionary Sisters in central and northern Kenya. 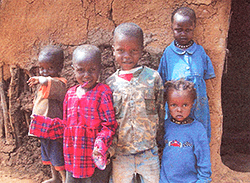 The children at these missions are in urgent need of food, clothing, medicine and education. 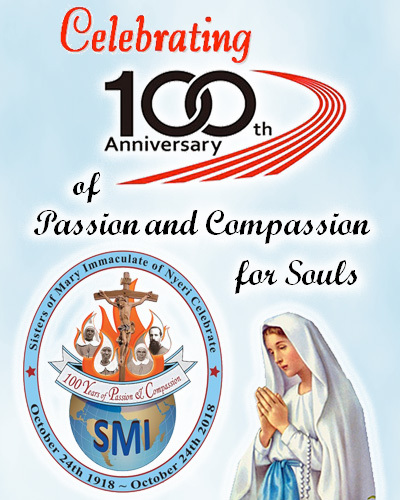 Learn more about the SMI Charism and the 100th anniversary celebration.